Her name is Neena Thurman and she’s the luckiest mutant in the entire Marvel Universe. Literally. Aside from being a skilled mercenary, Neena’s mutation is that she’s lucky almost all of the time. However, if she willingly places herself in life-threatening situations, her power will go temporarily dormant, allowing Domino to make a fool of herself... But usually, things tend to just work out for her. 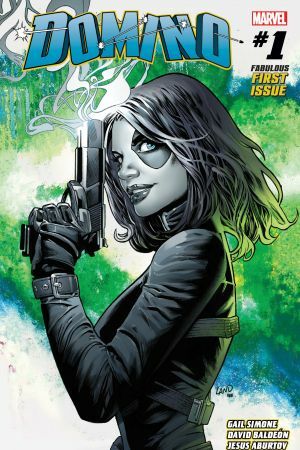 We recently recounted some of the Hulk’s unluckiest moments, so in honor of DOMINO: HOTSHOTS #1 from Gail Simone and David Baldeon, we decided to flip the script a bit and revisit six of Domino’s most fortunate moments. 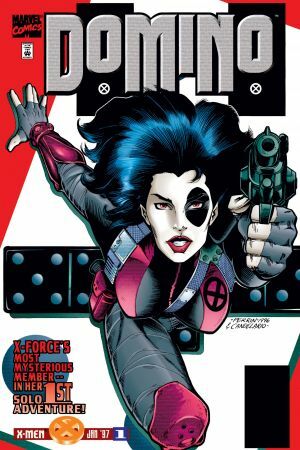 In the X-FORCE comics of the early 1990s, Domino was being perfectly impersonated by the villain known as Copycat (real name: Vanessa Carlysle). Not until issue #15 did we learn that the real Domino was being chained up against her will in the home of Tolliver. 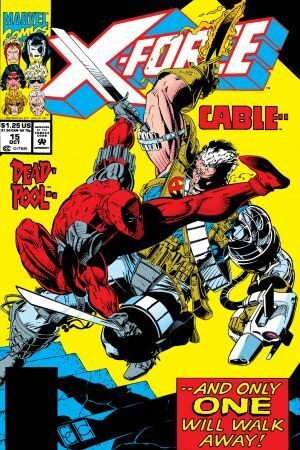 Cable attempted to free her, but got into a fight with Deadpool who “accidentally” let her go with the stroke of a sword meant for Cable. 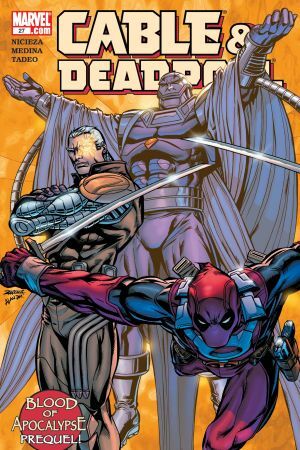 When his back was turned, Domino then used Copycat’s gun to subdue Deadpool and save Cable. With that done, she remarked on the sheer irony of the situation. Tracking down some sort of doomsday weapon in the Everglades, Domino met her five-year-old brother, Lazarus, for the first time. Like Domino herself, Lazarus was a government-sanctioned genetic experiment; however, he, unlike his sister, was considered a rousing success. To spare Lazarus of a miserable life, Domino planned to escape the facility with him, but were confronted by their mother, who wanted to murder the boy to spare the entire world. When a bunch of government goons showed up, a firefight broke out, but they were stopped by Lazarus (using his near-omnipotent powers) before things could get really bloody. Luckily for Domino, she was immune to her brother’s powers and they were able to escape. Sadly, Domino was forced to kill her own mother (who was also immune) to save the boy’s life. Sometimes, luck is a double-edged sword, folks. Deadpool entered into a fight with Domino in Rumekistan in issue #27 of CABLE & DEADPOOL. Both characters were wielding sharp blades and seemed to be evenly matched...until a bunch of building-based debris fell on top of Wade, causing him to swallow six of his own teeth. Obviously, this didn’t kill Deadpool, but the fight nearly caused Domino to be pounced upon by an angry mob. She was saved at the last moment by a group of Ultimatum Troops. It’s not easy to carry out an assassination on a person whose power pretty much keeps them from dying. But Logan and Deadpool can keep their healing factors, because Neena’s got luck on her side. So when the Assassin’s Guild tried its best to kill Domino, they were in for a rude awakening. 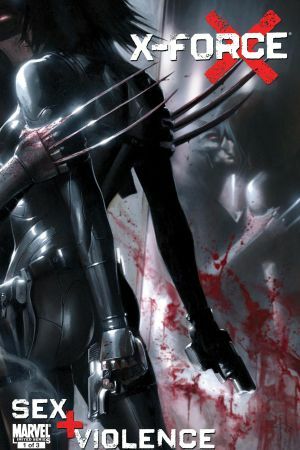 Speaking of Logan, though, he did agree to help her out in a 2010 X-FORCE storyline. The Guild then caught up with her and warned her that if she didn’t return to them, they’d murder her. She claimed to surrender before letting her gun, pointing upwards, go off. For anyone else, the bullet would probably have gone astray, but not for Neena... The slug met its target and took one of the assassins out. 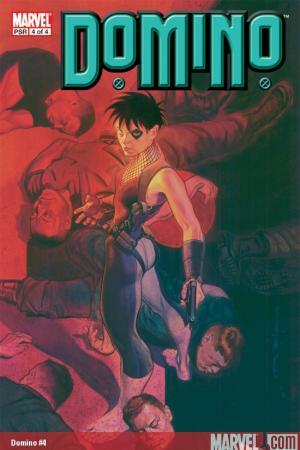 1997’s DOMINO limited series found the eponymous mercenary attempting to rescue an old flame of hers, Dr. Milo Thurman. Upon breaking into the federal complex where Milo was being kept, Neena was accosted by two gold-plated Mandroids. She fired her phasers at them, not expecting the beams to pierce her adversaries’ thick armor, but fully expecting the ricocheting lasers to cut her in two. Not that she had anything to worry about, because the phasers ended up subduing the Mandroids, laying them both flat on their behinds and even tearing a hole right through one of them. After a bit of a botched job in the Pacific Northwest—during her birthday no less!—Domino received a surprise party in downtown San Francisco. And who was put in charge of the music? Why, Deadpool, of course! You know someone is lucky when Wade Wilson agrees to DJ their birthday party. He does’t just do that for anyone, ya know? Anyway, Wade didn't get the lame cover band he originally wanted to book, but he got Dazzler instead! Oh, and then Domino somehow survived falling out of her apartment window dozens of stories above the ground. 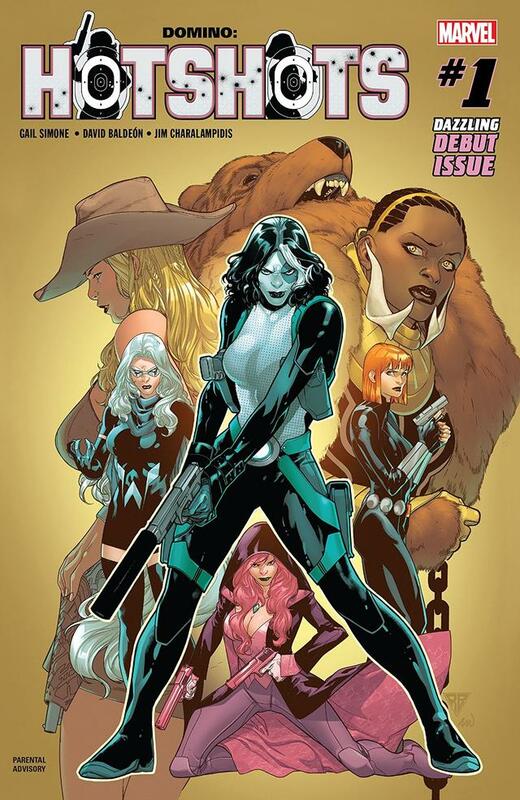 Read DOMINO: HOTSHOTS #1 at your local comic shop right now! Marvel.com's fashion columnist highlights the best costumes from today's new comics!